If you need extra space in your home then a loft conversion could be the ideal solution. 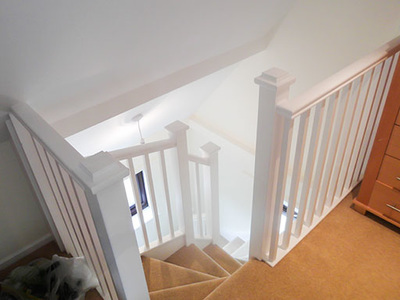 L&S Builders specialise in loft conversions in Bury St Edmunds and Suffolk. We can offer help with planning, regulations and advice on whether your roof is suitable to be turned into a new room. 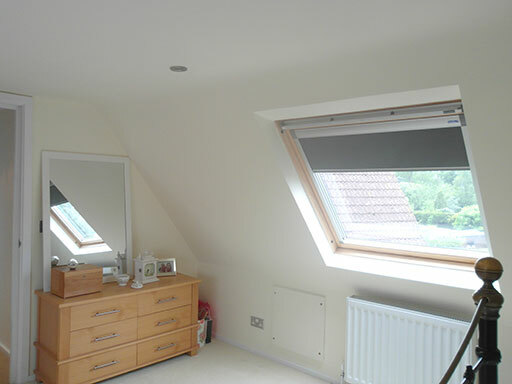 Contact L&S Builders now for a loft conversion appraisal. Looking down staircase from new loft. View of loft from doorway including skylight. 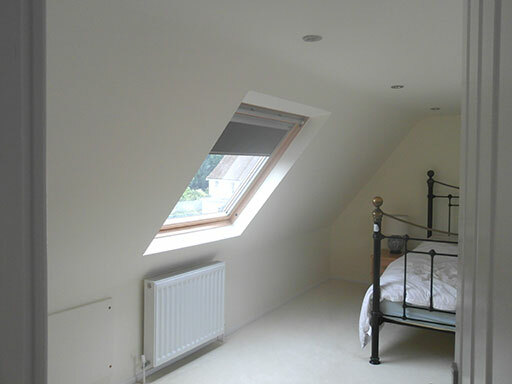 ​Loft conversion, including ensuite, Bury St Edmunds.